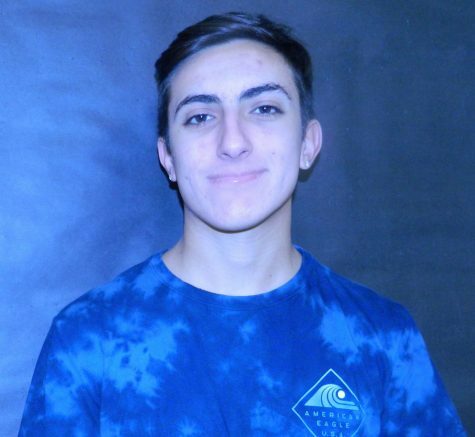 Sam Colavito is a senior at Warren Hills Regional High School in Washington New Jersey. This is his first year as a staff member of The Streak. Colavito enjoys sports and sports writing. He is looking forward to the possibility of writing in the Sports section of our paper. Aside from The Streak, Colavito participated in Football for three years, Track and Field for one, and played soccer for seven years previously. He stopped playing and quit his former job at ShopRite to focus more on school but that didn't take away the memories made on the field and the lifelong brotherhood that was formed from those playing days. Colavito’s personal interests include sports and hanging with his friends. Ever since he was the young age of 7, he aspired to become a sports broadcaster, with his top choice being for football. As he grew older, he realized it may be harder than he originally thought to fulfill that dream, but he plans on attending a 4-year University, whether in New Jersey or not, this upcoming August to chase that dream and major in either Broadcast Journalism or Communications.